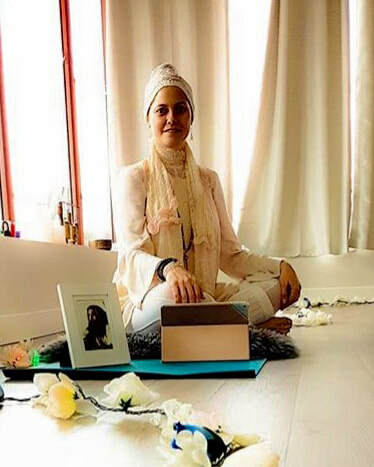 ​Nararyan Gopal has 5 years of Kundalini Yoga experience, with the last year and a half as a Certified Level 1 Kundalini Yoga Instructor. This is her second year of running the beloved Kundalini Yoga in the Park classes in Kelowna, BC, Canada. Her sweet teachings are said to leave you with a sense of belonging and calm. Narayan is the Vice President of Truitt Consulting Inc, a Design/Build company in Canada. Her personal interests are in the arts, biking and paddle boarding. She does the majority of all of this with her husband and partner in life Sean Truitt and son, Jaxon Truitt. This will be her second year in attendance, teaching at the annual Benefit for Keiki Yoga Kohala and Narayan is very grateful to be able to support this incredible community event!